I am happy to have Joelle stop by today!! I love to sing. Not just because I teach voice or used to perform on stage or currently write about an opera singer. Those are just happy career accidents. If I’d never taught a single student, performed in a show or written any of the Glee Club books, I would still love to sing. But’s it’s more than loving it. I need to sing. It’s my escape from everything around me, which is funny when I consider that never do I feel sadness, joy, happiness or despair more deeply than when I sing. Music gives me a place to put all my hopes and dreams and fears. When I’m singing I feel every note resonate deep in my soul. Funny enough, because I’m a teacher and a professional performer, I don’t find the same kind of escape in just listening to music. When I am listening to others sing, I analyze every moment both mentally and emotionally. I think about what would make the song better. I pick apart the ideas behind the lyrics and melody. Hmmm….I guess it probably isn’t a surprise that I can’t write when I have music on. Music is never in the background for me. And it doesn’t just set a mood. It’s alive and real and makes me want to jump up and take part in it. Which means if I put music on in my house while writing there would be a lot of singing and not a lot of writing. Great for personal entertainment. Bad for deadlines. For my heroine of the Glee Club series, Paige Marshall, music has the same power in her life that it has in mine. It isn’t just what she does for a career. Singing is part of what makes her—well—her. It is part of her heart and I hope that passion for singing comes across to readers. More—I hope that some people who shy away from singing because they don’t think they’re any good at it are inspired by her passion to belt out a tune in the shower or in their car. (Although the shower is WAY better acoustically. Trust me. Tile makes everyone sound better.) Regardless of where you sing, you don’t have to sound like a Broadway star to make music. You just have to let yourself enjoy the experience and escape into the song. If you let yourself, I promise you that you’ll feel your heart soar. 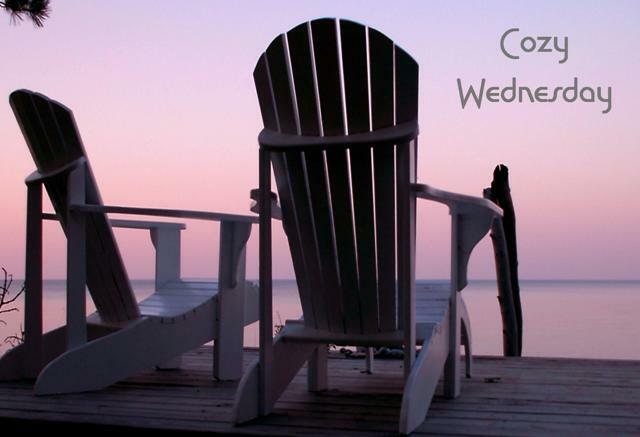 So, today I challenge you to find your escape into music…if you only listen – that’s okay. But if you sing at the top of your lungs so much the better. Joelle Charbonneau has performed in opera and musical theatre productions across Chicagoland. She now teaches private voice lessons and is the author of two mystery series: The Rebecca Robbins mysteries (Minotaur Books) and the Glee Club mysteries (Berkley). Joelle’s also the author of New York Times Best Selling THE TESTING, the first of a young adult trilogy. The Prospect Glen Glee Club, Music in Motion, is in Nashville for a National Show Choir competition. They have the talent. They have the heart. Nothing can stop Prospect Glen’s choir from taking home the trophy. But below the soaring voices, there are murmurs of suspicion. So-called accidents keep befalling the other choirs. Yet Prospect Glen remains untouched. This a fun cozy series. Fans of the television show Glee and movies like Pitch Perfect would love this entire series. Again Joelle Charbonneau has hit all the right notes. Her characters just sing on these pages. As these stories continue the characters continue to grow and evolve, both the adults and the teenagers. Paige is still trying to make it as an opera singer but she really enjoys working with these kids. As if a long bus ride and a week long stay in a hotel with a bunch of teenagers weren’t enough one of the local competition volunteers, LuAnn, ends up dead. This volunteer had a real beef with Paige and the Music in Motion group. She was doing everything she could to get them disqualified and no one seems to know why. Then of course Paige is the one to find her body after an apparent hit and run. This moves her the “person of interest” list when the case is ruled as a homicide and this time she is out of her favorite detective’s jurisdiction. But Millie, Aldo and Killer do make the trip so Millie can do the team’s makeup. That Killer is quite the canine. Hopefully they can get Paige out of this mess. The author takes us behind the scenes of the competition from the rehearsals to the final performance and everything in between. She definitely writes what she knows. She has choreographed a very clever mystery too. Plenty of real suspects and unexpected turns. One that made this reader quite happy. Leave a comment for Joelle for 5 Bonus Entries ! So nice that you are able to use your talent as a career. I am really looking forward to reading this book. I just read the second one at Christmas and enjoyed it. Goodness, I love the dress almost as much as hearing / seeing you sing / perform! Joelle: I just finished The Testing and Independent Study. I loved them and then I discovered you write mysteries, too. My two favorite genres are YA and mysteries. 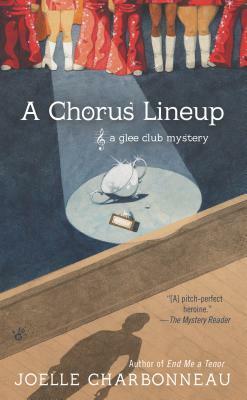 Can’t wait to read the Glee Club Mystery series. Looks like a really good book. Thanks for a chanced to win. I really loved the Testing and will be reading Independent study in the next few weeks. I had no idea that you’d written these other books. Now i am super curious. I love glee club. Sounds like a compelling read. Loved the clip of King and I. Back when I was younger I would have been in the pit playing either trumpet (1st. or 2nd chair) or drums. I know how hard you work at each role. The walk thru, the staging, and learning your co-stars foibles. I’m a huge fan of your books and own a mix of series. I have to go get the first in the series, I have not read these yet (obviously,lol). I just heard about them not too long ago and it struck a chord (no pun intended…well maybe a little). My daughter is in chorus and choir at school so this should be interesting. Thanks for the chance to win. this book sounds captivating and special. best wishes and much success. Thanks for your thoughts. This sounds like a great one to cozy up to the fire with. The book sounds great. I look forward to reading it. I have no voice at all–but I sure enjoy listening to glee clubs. I also enjoy a good cozy mystery so keep up the good work. I’m not a fan of glee but I am a fan of mysteries! I want to read this. Loved the clip from the King and I as I am reading Anna and the King of Siam. Book sounds great, can’t wait to read it. And Joelle is such a fun person (I met her at Bouchercon last fall)-hard to believe she can get up to such mayhem! Congratulations on your new release! What a lovely combination you have with this series, both of your talents mesh well. I can’t wait to read it! Fun clip, I love musicals! Your books series sounds wonderful. I absolutely love this Glee Club cozy series! It is simply great. What I love about it even more is that I currently live in the western suburbs of Chicago and recognize some of the places she is referring too . . . and I’m a musician, so it is the perfect series for me. Haven’t picked up my copy yet . . . maybe I will win! I have this in my tbr list. I am going to bookstore for the earlier books in the series. I can not believe I missed this. My daughter used to be in her middle and high school choirs and enjoyed it. I love singing but cannot sing worth a flip. It sounds like a wonderful story with great characters. Mysteries are my favorite books, and I hope to read some of yours soon. Looking forward to Joelle’s new book! Thanks for the review–can’t wait to read it. I love the idea of a crime happening where performers in a theater setting are involved. It seems ideal because you expect some stage performers to have a diva attitude and the potential friction that could cause tension on putting on a production. When I was in high school many years ago, I always was in the annual musical. Unfortunately, I wasn’t much of a singer, but I did snag a role as a dancer. Indeed, when the ensemble was required to sing, I was instructed to lip synch. But I do have experience of the cutthroat nature of the auditions and tryouts. I am intrigued by a cozy mystery in a theater setting with divas and difficult ‘personalities’ and would love to read this book. Thank you for the opportunity. Looking forward to reading my first book by this author. So nice that she has these two loves in her life…music and writing…and so lovely, too. I used to sing, before allergies caused my voice to break…I miss it. congrats & continued success to Joelle!! !